Shah Rukh Khan might be just what the doctor ordered for poor, ailing Air India. 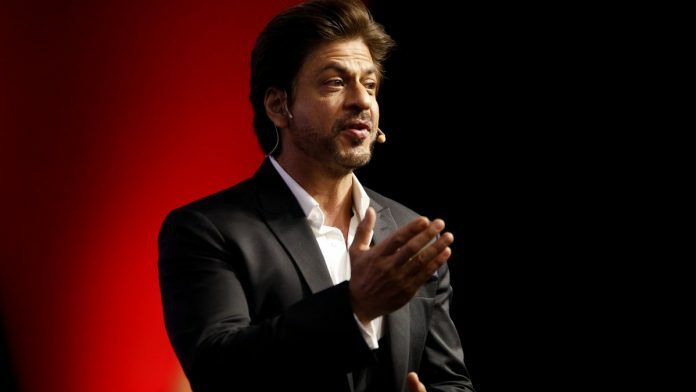 Shah Rukh Khan is once again the de facto patron saint of lost causes. Air India, the beleaguered national carrier, has received a shot in the arm from the actor who always has his arms out for those in need. It’s not the funding the airline desperately wants, but a tweet that could be worth its weight in gold. Shah Rukh Khan flew on Air India from New York to Mumbai and gush-tweeted, “Thank u to the ground staff and the wonderful pilots for a hospitable warm & beautiful journey… Maharaja, Maharaja hi hota hai”. And, he has now “unofficially and unabashedly” offered to declare himself its ambassador. Air India, which is usually in the news for all the wrong reasons, like a drunk pilot, cabin crew who show up late and no chicken in their meals, is now falling over itself in gratitude. Minister of state for civil aviation Jayant Sinha retweeted Shah Rukh’s tweet while Air India gurgled, “We are truly humbled when ‘King Khan’ is the brand ambassador for ‘Maharaja’”. Shah Rukh Khan, our eternal boy-next-door, might be just what the doctor ordered for poor, ailing Air India. Could his Peter Pan fairy dust rub off on Air India? Air India must hope so. After all, didn’t Shah Rukh Khan take a losing cricket team and cheerlead it into becoming IPL champions? And, he did it even as he dropped Bengal’s favourite prince Sourav Ganguly. When Ganguly helmed Pune Warriors against Kolkata Knight Riders (KKR) at Eden Gardens, it was seen as a Dada vs SRK match, much to Shah Rukh’s annoyance. But dammit, KKR finally had their day and all was forgiven in a grand victory parade. And then he took on what some might call the mother of lost causes or at least the big Didi. Shah Rukh Khan became the brand ambassador of West Bengal. Bengal might bristle at being described as a lost cause, but it’s certainly been a state in need of an image makeover. This is a state where its chief minister complained she inherited empty coffers. It still rankles that Kolkata was described as a “dying city” by Rajiv Gandhi. It’s the state from where industry famously fled over the years and the Tatas found shelter for their Nano factory in the 56-inch chest of Narendra Modi’s Gujarat. Bridges have fallen in many parts of India but when they fall in Bengal it’s regarded as somehow emblematic of the state’s fall from grace. Yet, Shah Rukh Khan cheerfully became the state’s ambassador at Didi’s request. Bengal must have been optimistic. Shah Rukh’s dimpled charm can sell anything from Hyundai cars to Prayag Film City to Denver “the scent of my success” deo. But what Bengal must have been secretly most hopeful about was his expertise in dressing a loser up as a winner. The film Ra.One, for example, was dubbed “SRK’s most expensive midlife crisis”. The Om Shanti Om six-pack seemed to become an eight-pack of denial as SRK aged and grappled with losing fizzy contracts like Pepsi to the newer kids on the block such as Ranbir Kapoor. Pepsi might have gone, but at least he has Bengal. A state in the grip of chronic nostalgia for a golden past and a star clinging to his image of being yesterday’s favourite boy-next-door were made for each other. Now Shah Rukh comes every year to inaugurate the Kolkata International Film Festival at Mamata Banerjee’s behest and even landed a peck on a blushing Didi’s cheek although it’s unclear what else he does as a goodwill ambassador for the state. He did dance to the old Bengali classic ‘Dhitang dhitang boley’, recite a bit of Tagore, and sport a rakhi from the CM. Also read: Suhana Khan on Vogue cover: Bollywood nepotism or talent-spotting? Shah Rukh could have sung ‘Ekla cholo re’ to Alia Bhatt in Dear Zindagi. He could have had an Ambassador taxi chase on the Howrah bridge in Raees. Instead of running around Europe, his Harry could have taken Sejal to Dakshineswar, Sunderbans and Murshidabad in Jab Harry Met Sejal. None of this happened. But Mamata and Shah Rukh remain each other’s greatest fans. Air India though had better not be fooled by his dimple. It should extract its pound of flesh. Think Shah Rukh Khan safety announcements. Shah Rukh Khan’s favourite biryani in meal choices. Shah Rukh Khan smelling the khushboo of Air India cabins. Shah Rukh Khan dressed as the Maharaja. Shah Rukh Khan flirting with blushing matronly cabin staff. A Shah Rukh cut-out selfie spot near the door. And for its first class passengers, a free Shah Rukh Khan anti-ageing kit. But by no means should Air India agree to Ra.One and Fan on a loop on the in-flight entertainment system. As for those who are thinking of jumping on board on the basis of King Khan’s tweet, do keep in mind that if SRK does not get red carpet royal treatment on Air India where else will he get it. At immigration at JFK? Shah Rukh Khan was probably not flying in a jam-packed economy cabin where all the aunties wanted to use the cramped bathroom at the exact same time. Love might be in the air between the King Khan and the Maharaja but for those of us stuck way back in the coach, neither our leg space nor our meal choices will improve. Maharaja maharaja hi hota hai. King Khan King Khan hi hota hai. And, the aam aadmi in cattle class remains aam aadmi in cattle class still squished into seat 23E. Well written.. But then economy does not mean battle class.. If we have discipline then the toilets can be used by everyone in the right way.. We Indians don’t even drive our cars properly on roads.. So why blame any airline for not having a toilet for every passenger?! Strange that a good word for Air India is not palatable to our very Indians who would go gaga over anything from foreign.land.. ..
Then the same Air India would be demanded to do all the dirty jobs on the orders of the government when it comes to national crisis. So far though there have bern crisis we have not seen the government ordering other airlines to participate in the rescue operations.